The possible supernova PSN J19435637+4758301 in UGC 11469 was imaged as part of the Virtual Telescope’s supernova follow-up program. 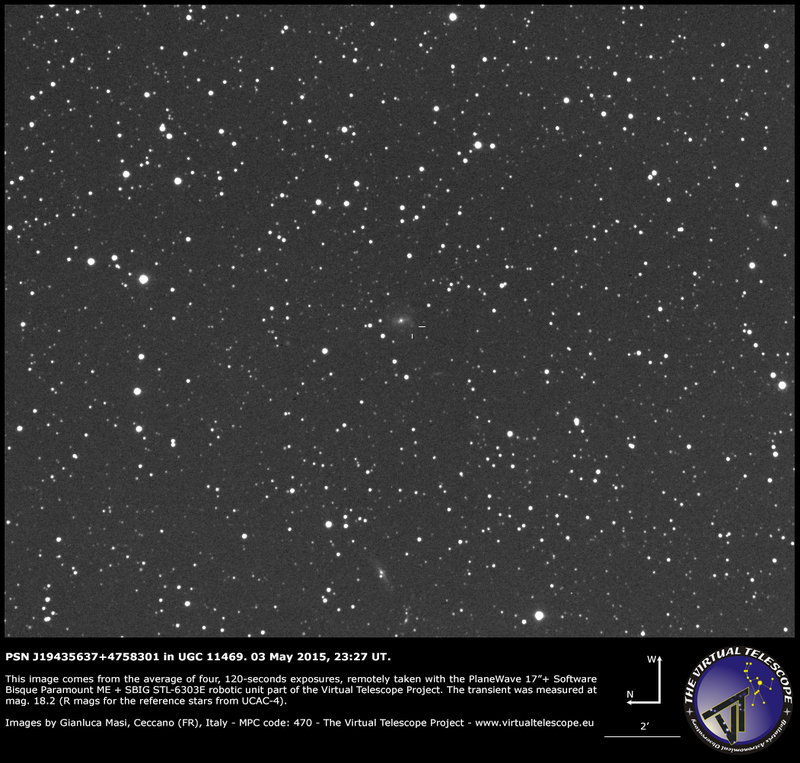 The image above comes from the average of four, 120-seconds exposures, unfiltered, remotely collected with the PlaneWave 17″+Paramount ME+SBIG STL-6303E robotic unit part of the Virtual Telescope Project. The supernova was estimated at mag. 18.2 (R mags for the reference stars from UCAC-4). The sky was far from the ideal, with cirrus all around and the Full Moon.